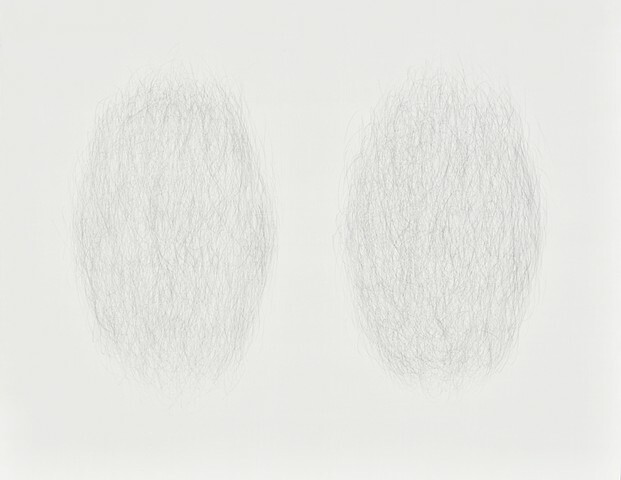 These metalpoint drawings examine identity, assimilation, and universal dualities emanating from my experiences as an identical twin and Japanese American in relation to how others pursue their uniqueness while being a part of a whole. The engraved or inscribed writing provides a textural foundation for the twin imagery. The marks are made with a variety of metal styluses, which over time will patina to differing hues, reflecting how comparisons, attitudes, and physical elements can change. I use my process of holding drawing utensils like hashi (chopsticks) as a conceptual means to express the duality of embracing our differences and similarities, as we seek both assimilation and identity. With two pencils in hand, they are manipulated in opposition to each other while simultaneously working together to create the drawing.